Christine Stuart has over 25 years’ conveyancing experience and leads the property team in Edinburgh, regularly advising on complex property, development and security matters for clients. She is involved in both land acquisitions and property disposals and negotiates development agreements for clients with both local authorities and private developers. Christine creates bespoke agreements to allow development to take place even whilst title issues are addressed. She is well versed in advising on risk and adopts a pragmatic view. Christine has a clear understanding of the limitations of funding and regulatory requirements but has aided clients in finding solutions when transactions have stalled. She has helped a number of clients through a variety of procurement and appointment issues, most recently on the implications of shared services agreements. Christine advises clients on the nature of procurement processes that are to be adopted and conducts training for clients on appointments, contracts and Collateral Warranties. She advises on complex security matters, commercial contracts and service level agreements. 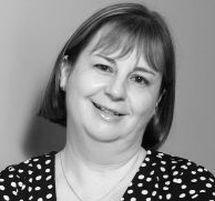 Christine has substantial experience within the housing sector and regularly advises on factoring issues. She has a keen interest in assisting clients with managing housing stock. Christine advises on the interpretation and drafting of factoring agreements; setting up a factoring service; terms and conditions; title advice; advice on the Tenements (Sc) Act; Notices of Potential Liability for Costs; and deeds of conditions and utilisation of statutory provisions to ensure works can be carried out and charged to owners and occupiers. Christine regularly provides training and support on governance matters to charities and RSLs. She has been involved in setting up subsidiary entities and providing documentation to regulate relationships with parent entities. Christine has set up charities, been involved in charity reorganisation schemes and dealt with questions on many aspects of regulatory adherence. We have used TC Young for many years and in particular our main contact, Christine Stuart. The variety of work we have asked of Christine has included dealing with all the security, warranties and general legal minefield for the settlement of new build developments. Great comfort is also derived from knowing Christine is working on our behalf as she is well aware of the environment in which RSL’s work and the importance of evidencing appropriate governance procedures for our Board of Management and staff.